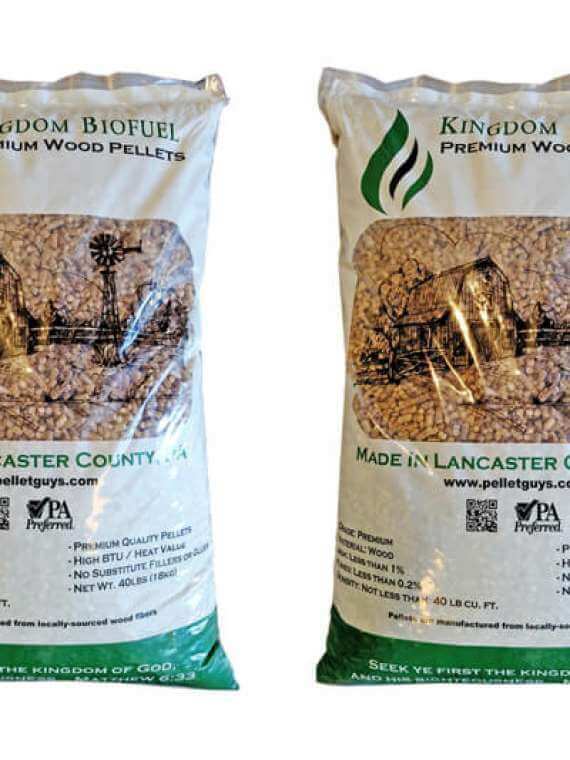 Our hardwood pellets in bags are a good option if you burn a small number of pellets each year. We use high-quality bags that seal out the moisture and protect your heating pellets from spilling during handling. When you’re ready to load the pellets into your stove, simply cut the corner and pour in the contents. Buy your bagged hardwood pellets by the ton or get your hardwood pellets by the bag. Want to make your pellet life easier? Check out the bulk hardwood pellets or bulk softwood pellets that can be delivered right into a storage bin or Super Sack in your basement or garage. 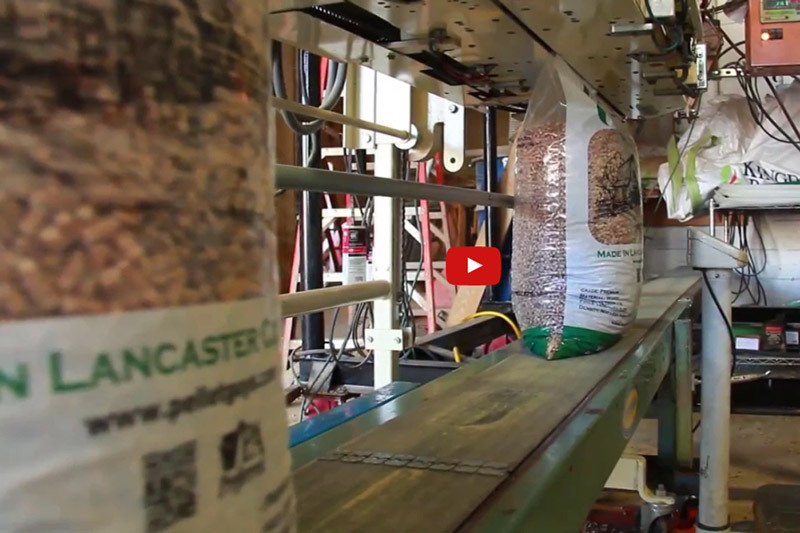 We can deliver a ton or more of hardwood bagged pellets to your door. 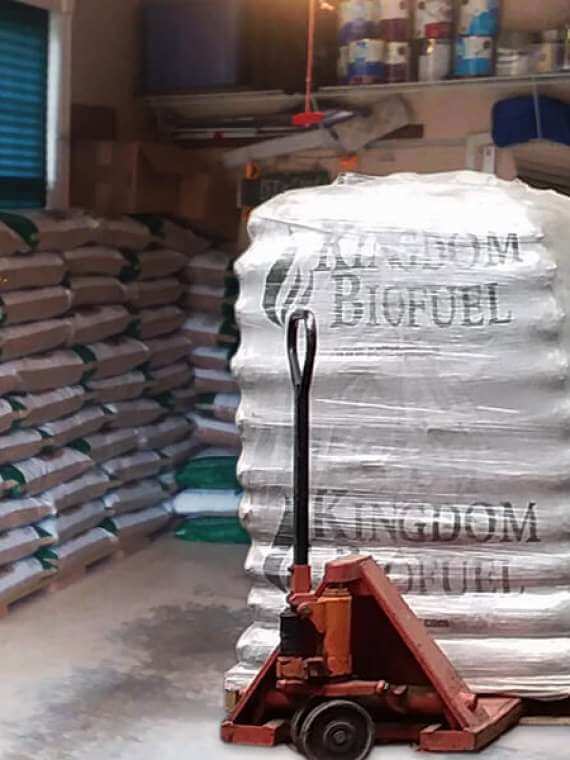 If you need a large quantity of pellets, we can deliver an entire pallet of bagged pellets and unload it with our delivery equipment. This saves you multiple trips to a retail store to refill your supply of pellets. You also have the option to pick up individual bags of hardwood pellets at one of our convenient retail locations. If you use pellets as your main heat source, discover 20 reasons to switch to our bulk delivery option. 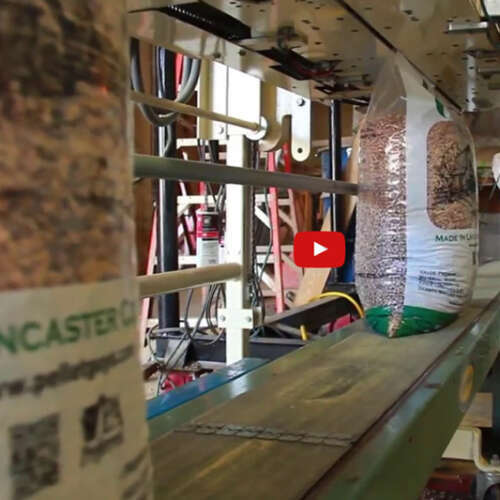 This option saves you time and money by eliminating the cost of bags and making moving the pellets around easier. You won’t need to dispose of bags and you’ll contribute to the health of the environment. 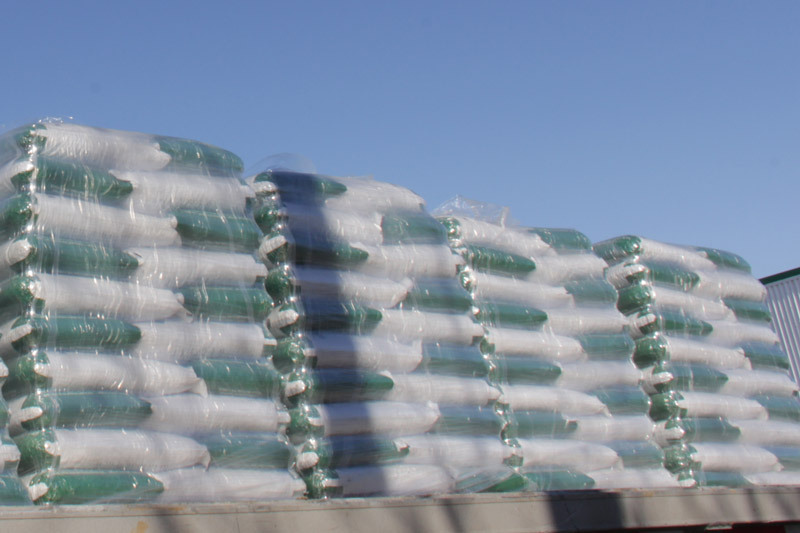 We can help you get set up for bulk pellet delivery. 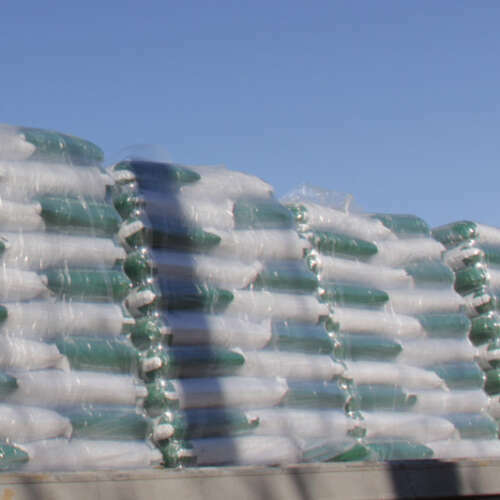 Can I buy bagged pellets by the pallet? We sell hardwood heating pellets and softwood heating pellets by the bag or by the ton. You can buy a pallet of pellets which can be delivered and set right into your garage with our pellet mover. Or buy a pallet of bagged heating pellets, have them dropped in your driveway and then carry them into the basement. Our pellet mover can place them as close to the entrance as possible to reduce the among of work you have to do to get them into place. Can I pick up my pellets? Yes, no problem. 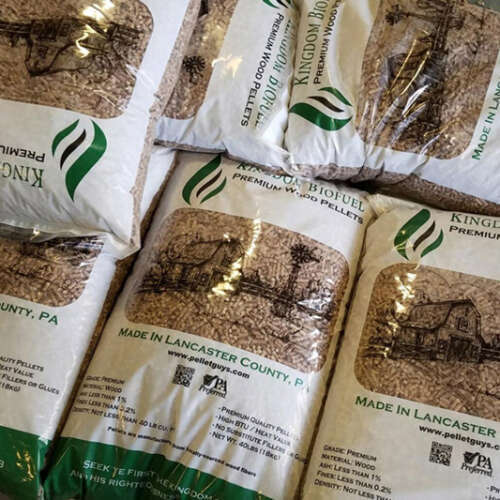 We have many customers who come to our pellet store in Peach Bottom, PA to pick up their own pellets. Be sure to place an order before coming so we can have the order ready when you arrive. Place your order here. Where do you drop my pallet of bagged pellets? We will drop your pallet of pellets in the garage or next to an entrance where you wish to stack them. If you’re lucky, we might even stack them in the garage or basement for you! Ask about the possibility of having them stacked in place when the pellets are delivered. Is there a minimum number of pellets I need to order for free delivery? Delivery prices are by the ton. If you buy a ½ ton of pellets for any reason, you will pay the per ton price. See the delivery prices here and give us a call if you have any further questions. How are your bagged pellets different from other brands? Our pellets are produced to the highest standards. 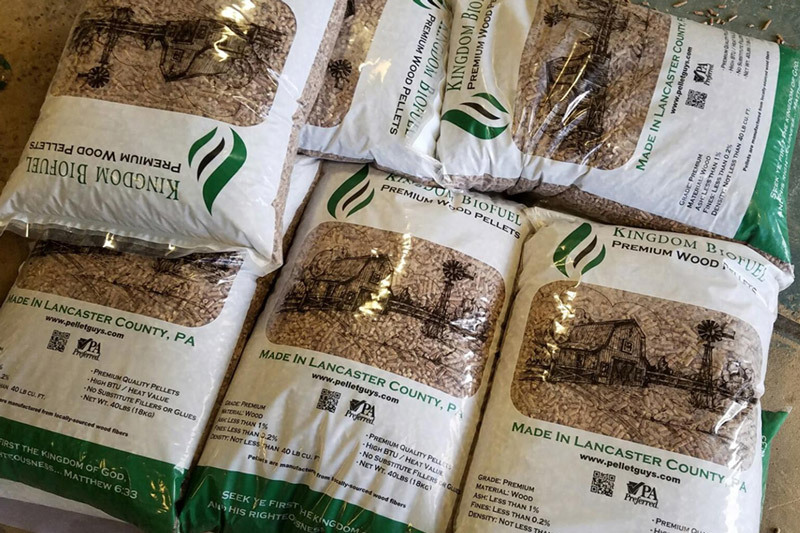 Whether they are produced in our own mill or we work with others mills to produce our bagged pellets, we expect the best. The pellet mills we’ve worked with have agreed to raise the standard of the pellets we offer to ensure the best for our clients!